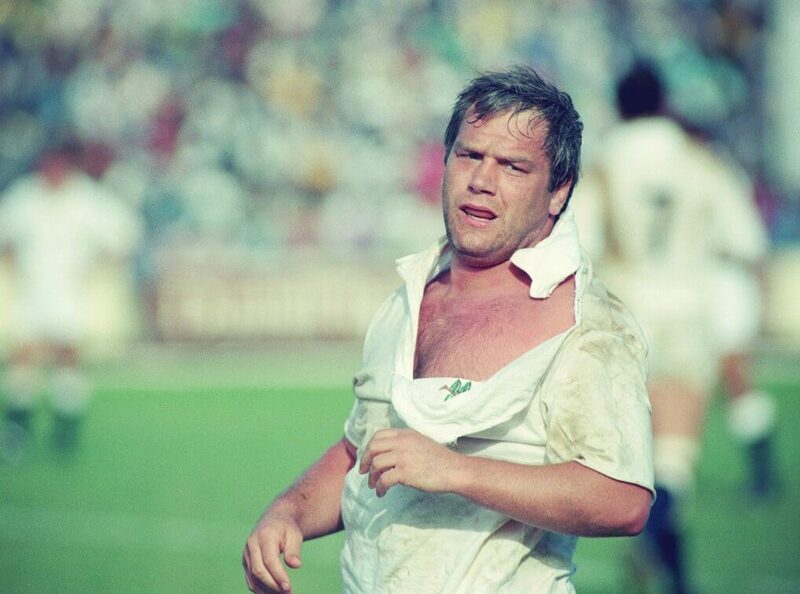 Jeff Probyn was a fierce rugby union forward who played for England on 37 occasions. He is now a go to pundit who works on TalkSport offering his words of wisdom as part of the Full Contact feature. Jeff was born in London and played for The Askeans, Streatham and Wasps at prop. He made his England debut in 1988, aged 31, and then toured South Africa with a World XV in 1989, as well as being a member of the Wasps FC side that won the English Courage league in 1990. Probyn was a tough scrummager who was hugely effective despite being relatively small for a modern prop. His technique always carried him through though and he used opponents’ sleeves as leverage so often that opposition teams would sometimes cut them off. After retirement from playing, Probyn was a member of Club England, the Rugby Football Union Committee. He was the manager of the England U21 team and later he returned to the RFU council. He sat on the 2006 review that saw the replacement of England’s world cup winning coaches and after leaving the RFU he formed The Front Row Union Club F.R.U.C with fellow international front-row forwards Brian Moore and Paul Rendall. Probyn is an Honorary President of Wooden Spoon, the charity of British and Irish rugby and as such lives and breathes the game so can instill really excitement and awe in a range of audiences when speaking or commentating or offering his rare insight.